Everyone’s favourite season is almost upon us – the Festive Season – but for those of us who suffer with our mental health, an endless stream of parties and dinners and after work drinks, alongside the financial stress of providing everyone with the next best whatever, it can easily become too much. By the 31st of October, once the trick or treaters are tucked up in bed, the supermarkets have transformed into miniature grottos offering everything from stocking fillers to party platters and just about anything you need to enjoy the festive season. But as someone who struggles with social situations, financial stress or seasonal affective disorder, the party season can be the most difficult time of year – and how do you cope when everyone around you is having the time of their lives? Stress is simply your body preparing for fight or flight mode. When you experience a danger or threat your body reacts by getting your heart racing, sending blood to your muscles and helping you to stay focused, energetic and alert. However, beyond a certain point your body’s fight or flight reaction to stress can stop being helpful and cause a number of problems with your health, mood, productivity and quality of life. What Problems Can Stress Cause? There is no denying that stress levels for just about anyone are increased in the run up till Christmas – there are so many expectations; parties to attend, presents to be bought and outfits to impress in, but just how do you stay on top of your stress levels in the party season? Quite simply, a good friend, a loving family member or a trusted work colleague, is not going to mind if you don’t turn up to their party or meal. Attending every single party in the run up to Christmas can feel overly daunting however, taking time to select the ones that really matter can mean you can keep up appearances without stressing yourself out about being in an unfamiliar social situation and out of your comfort zone. As the weather takes a turn for the worse, the idea of getting out in the dark, cold and wet mornings for a jog is probably the last thing on your mind – however, exercise is a great way to keep your stress levels low and recent studies have even found just thirty minutes of light exercise three times a week can have a positive effect on depression as well as a number of other mental health conditions. Join your local gym, take the stairs instead of the lift or try to include a couple of home-based yoga sessions every week to help keep your stress levels down. In the run up to Christmas you spent a lot of your time and often money trying to treat the people around you. If you feel the pressure of the party session, don’t be afraid to treat yourself – whether it be as simple as a nutmeg and cinnamon latte with a good book on your lunch break, or a full day of pampering at your local spa – make sure you don’t forget about looking after number one. Leaving things until the last minute is often one of the biggest causes of stress in the run up till Christmas. Take advantage of Black Friday sales to stock up on the more expensive Christmas gifts on your list, pick up a handful of stocking fillers during your weekly food shop and get your turkey ordered as soon as possible to prevent disappointment – or overpriced birds – in the weeks before the big day. Meditation is a great way to keep on top of your emotions – and just ten minutes every day can make a significant improvement to your overall mental health, control stress and decrease anxiety, as well as helping you to relax. Meditation can take place just about anywhere – from the comfort of your own home to the train in the morning on your way to work. For many of us there is no greater feeling than watching the faces of the ones we love light up when they open our gift that we have spent weeks or months looking for. 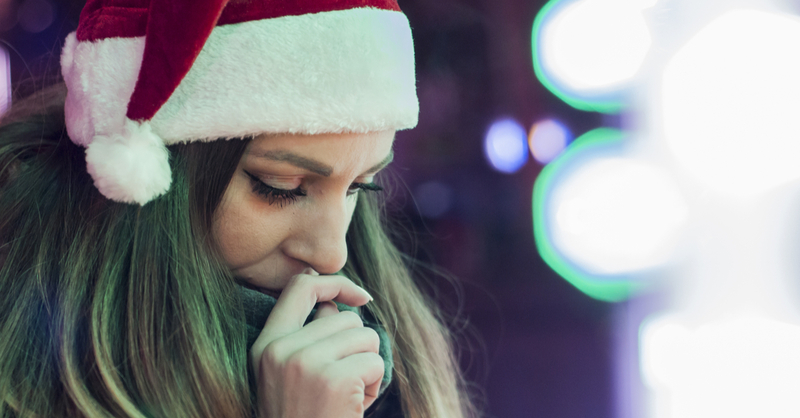 As a parent, a partner or even just a good friend the temptation to spend money you simply don’t have to please those around you – especially with the social pressures of Christmas – can be all too easy. Save yourself the financial hardship – and the stress that comes with it – by sticking to a strict budget. If you find yourself struggling to deal with stress at any time of year, therapy could be a great way to learn to deal with your emotions and reactions to the uncontrollable things that happen around you. Online therapy provides the perfect platform to include therapy into your day to day life without disrupting your daily schedule – learn more about our online app here. Cognitive behavioural therapy can be a great tool in learning how to deal with your daily and ongoing stresses, and with online therapy can take place in the comfort of your own home or favourite place to unwind – learn more about online therapy and how it could help you on our website.